Here's our weird NBA season in a nutshell: Five days after the hottest team in the league basically conceded a game to an opponent and lost by 40, we get one of the most competitive All-Star Games ever (at the end at least), complete with one superstar breaking another superstar's nose. But as wacky as the season's been (Jeremy Lin, yup we totally saw that one coming), it's also been predictable: the Heat, Thunder, and Bulls are good; the Bobcats aren't. Second half storylines? The trade deadline is March 15, two weeks from Thursday, and we'll know a lot more then. 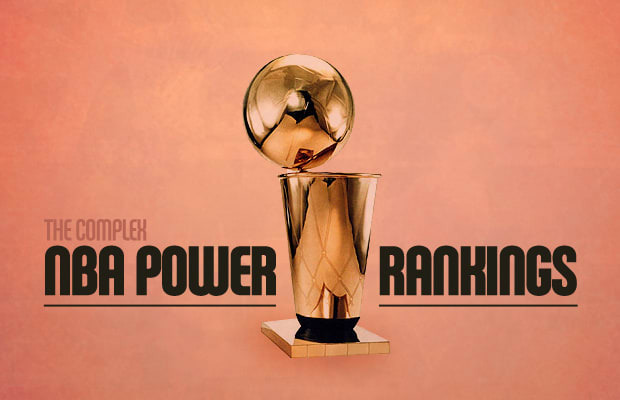 This week the Knicks go back to training camp, the Sixers, Pacers, and Hawks fight to see who could possibly vie with the Bulls and Miami for ascendancy in the East, the Magic try to hold onto Superman, and one sleeper team in Texas looks to crash the party in the West; all that and more in the Complex NBA Power Rankings.